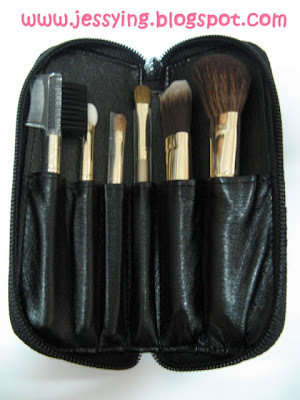 The promotion available is that with purchase of RM380 and above, you receive a 10-pc gift set. And if you purchase RM480, you receive additional 2 complimentary GSC movie vouchers. 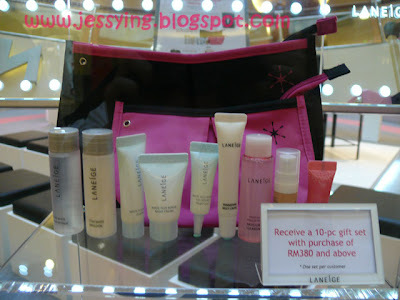 So so so generous of Laneige, RM250 and to be entitle to such a LUCKY gift!!!! 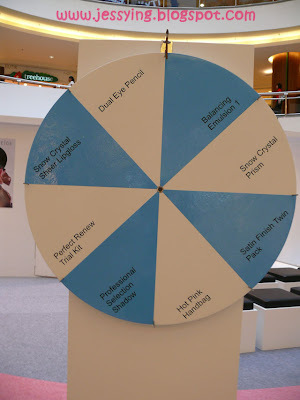 With purchase of RM600 above, entitle to a full size Skin Veil foundation and a PINK TROLLEY and all the items above too!! This trolley is so princess feeling! 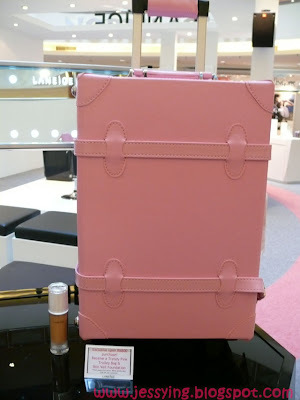 WOW, just RM600 for the above all plus the pink trolley oh, who is not tempted ? Never seen such a good Gifts with purchase for only RM600!!! 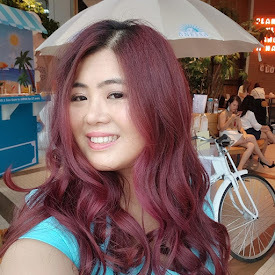 Well fortunately/unfortunately I did not buy RM600 worth of items! 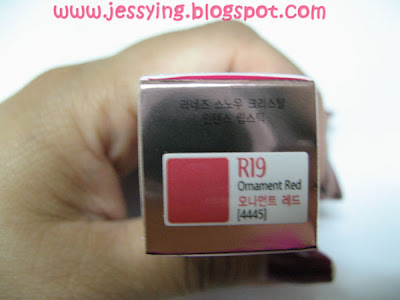 Having too much at home, I resist myself from buying , SIGH!!! 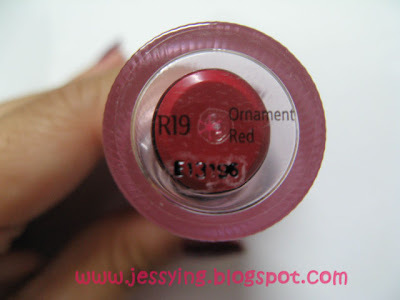 I only purchase Ornament Collection Snow Crystal Intense Lipstick for RM65. 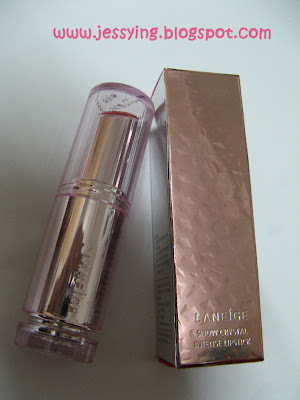 p/s: Laneige's lipstick is my favourite since my review on it! Hope this is as good as the previous one! 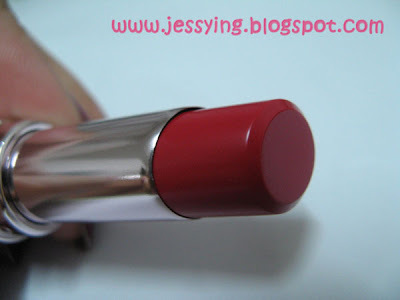 Wow I totally in love with this red lipstick as the colour is really intense !! 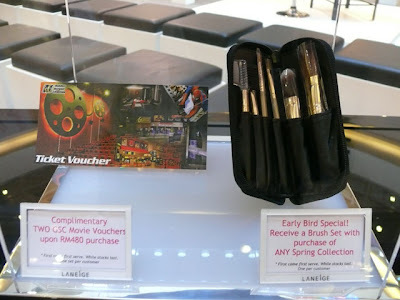 As I was the few first who purchase the Laneige Spring 2010 Ornament collection, a got a FREE brush set for free !!!!!!!!! 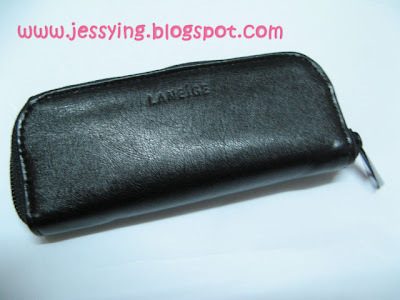 I have been using Laneige's eyeliner, face brush and eyeshadow brushes since late last year and totally in love with it !!!! So GIRLS did you all buy anything or all ?